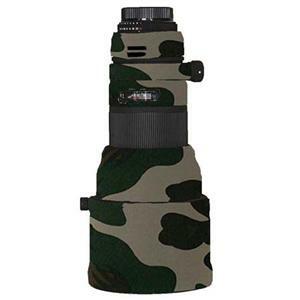 LensCoat Sigma 300 2.8 APO DG #LCS30028.... LensCoat(TM) Sigma 300 2.8 telephoto lens cover offers your valuable equipment some protection from scrapes and bumps preserving its resale value. It also helps break up the shape of your lens making it less noticeable to wildlife. The LensCoat Sigma 300 2.8 features a clear plastic windows over the auto focus controls and also the distance scale. A small hole on the last segment lines up with the white dot indicator making it easy to quickly line up your lens with camera mount even with the cover installed.